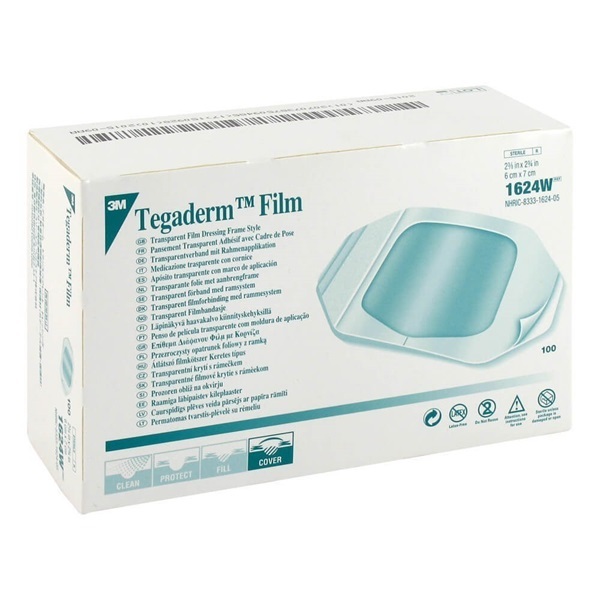 Film Dressing - Octagon 2.375" x 2.75"
3M Tegaderm™ transparent, sterile film dressing in an octogon shape that measures 2.375" x 2.75". Designed to be applied over I.V. devices, clean skin, or wounds providing a breathable bacterial and viral barrier to outside contaminants. A sterile, waterproof, thin, transparent film with adhesive. Latex free. NDC Number: 08333162405. Comes 100 per box.